France and Germany’s finance ministers on Monday (19 November) presented their proposal on establishing a eurozone budget by 2021, describing it as a “major political breakthrough”. The two-page document lays out plans for a limited joint eurozone budget, focused mainly on investment and convergence and, marginally, on stabilisation, that will be linked to national reforms. “One year ago we could not even use the word eurozone budget. And now, there is a Franco-German operational proposal. This is, to us, a major political breakthrough,” French minister Bruno Le Maire told reporters after an extraordinary Eurogroup meeting. The plan would limit the extent to which the budget could help eurozone countries during economic downturns, which is a highly controversial issue for some member states, including Germany. The budget would be linked to the EU framework, and be part of the next EU long-term budget – ready to enter into force by 2021 – and would be subject the same budgetary rules. As it would be part of the seven-year-long budget, all member states would have to agree on its establishment but only the 19 eurozone members, would be able to utilise it. The European Union’s answer to stop a rise of populist politics within its borders must start with a budget to help bind its members closer together and address economic inequality that tears at its seams, one official said on Tuesday. The investment tool will focus on funding innovation, research and human capital. “The lack of convergence between national economies is not sustainable in the long term for a single monetary union,” Le Maire argued. “The eurozone as it stands is not able to face economic crises,” he warned, adding that “a stronger eurozone is the basis for a stronger economy”. When asked how this investment policy differed from EU structural funds, cohesion policy or the Juncker Plan, Le Maire said that convergence is particularly important for countries under the same monetary union. 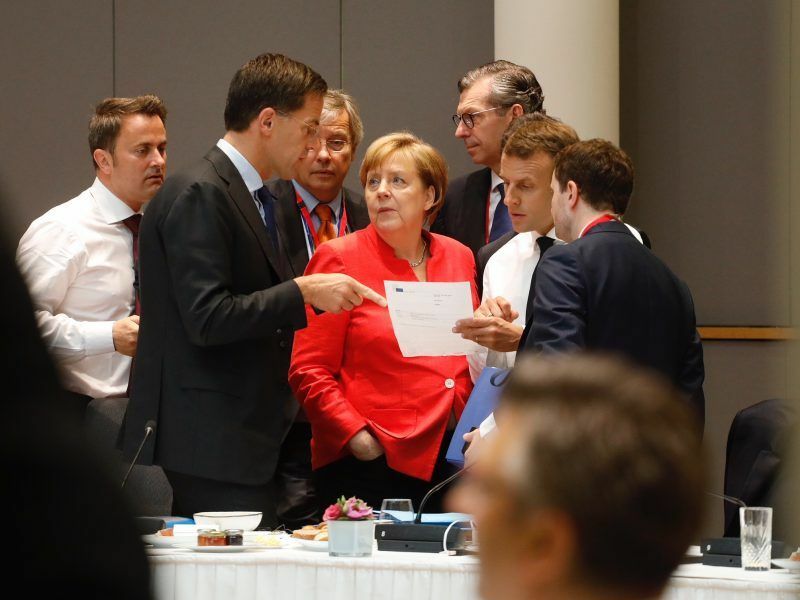 On stabilisation, the Franco-German counterparts admitted that there are several proposals on the table but more work still needs to be done. “We are fully committed to implementing that part of the eurozone budget,” Bruno Le Maire insisted. However, the actual size of the budget was neither included in the proposal nor discussed by the Eurogroup. Le Maire and German counterpart Olaf Scholz continued their now routine gesture of holding a joint press conference. The Franco-German proposal was welcomed by the Eurogroup, according to President Mario Centeno, which this time included 27 member states to prepare for the summit on eurozone reform in December. 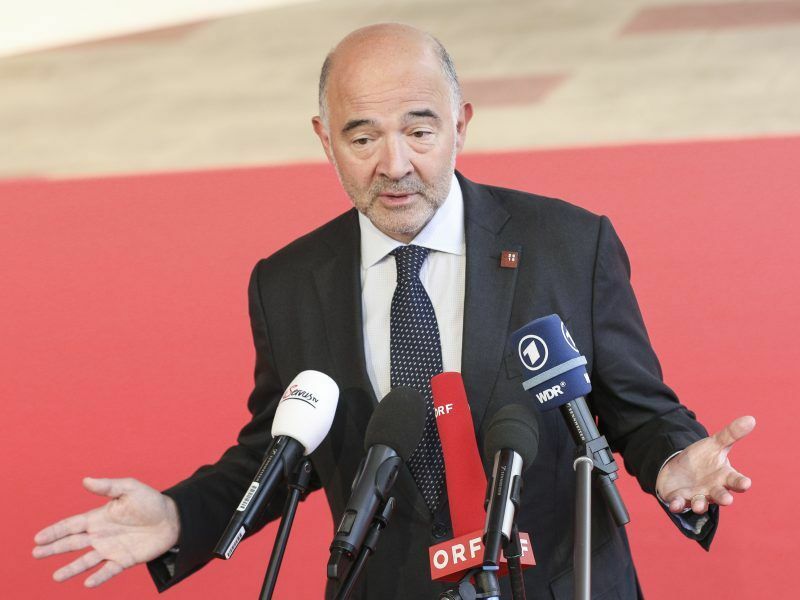 “The Franco-German proposal is a very important contribution towards an agreement,” said Economic Affairs Commissioner Pierre Moscovici. “Today’s discussions are moving in the right direction. Of course, we are totally aware of the questions of some member states. We will work closely with them,” Scholz told the press. One of the countries that have been sceptical about a eurozone budget is the Netherlands, whose Finance Minister Wopke Hoekstra expressed doubts on his arrival in Brussels. “The need for such a budget is less than convincing. It is unclear how this will help, and why this would be in the interest of Dutch citizens,” he said. Le Maire announced that Hoekstra will be in Paris on Thursday (22 November) for further discussions. “There is some work that needs still to be done and we are starting with this,” Scholz added. The eurozone budget would need to go hand-in-hand with the deepening reform of the Economic and Monetary Union, which the member states are working on, ahead of next month’s euro summit. Work on risk reduction is underway and progress might allow for initiatives on risk sharing to move forward. Ministers again discussed the issue of setting up a common backstop to resolve ailing banks before 2024. “Overall, there was broad support for an early introduction of the common backstop, provided that sufficient progress has been made in terms of risk reduction,” Centeno told reporters. The Eurogroup also welcomed the agreement between the Commission and the European Stability Mechanism to increase its role in developing and monitoring financial assistance programmes. “The terms of cooperation between these two institutions are important as they will be the ones who will manage rescue programmes in the next crisis,” Centeno pointed out. 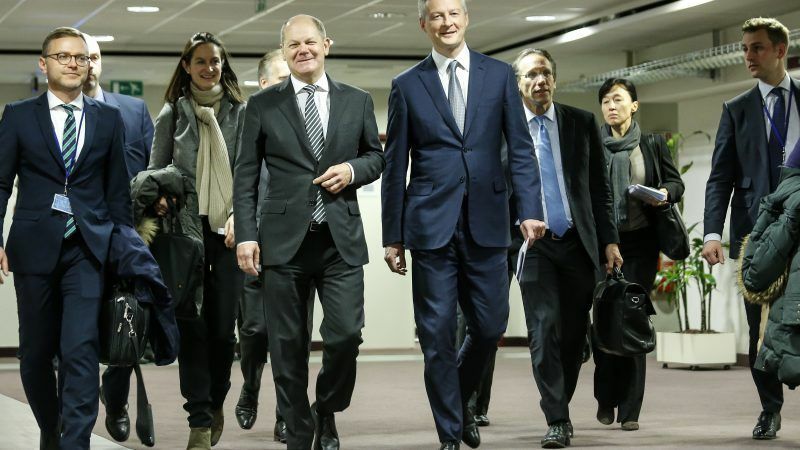 “We are confident with Germany that it is possible to reach a political agreement on this whole package on the Eurogroup on 13 December,” Le Maire added. This agreement should pave the way for the eurozone summit in December. Important decisions on completing the Banking Union were postponed in June as member states were unable to reach an agreement. The next eurozone crisis could be closer than expected. 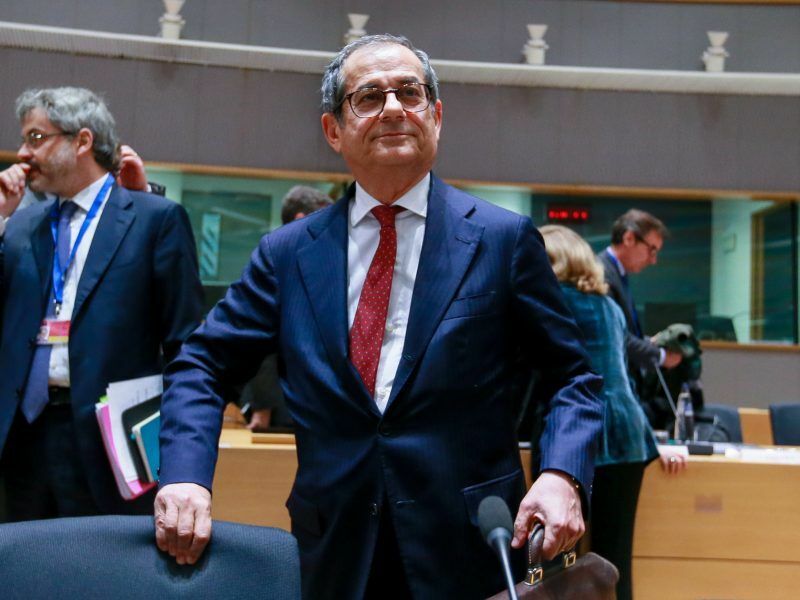 Italy will stick to its budgetary plans, despite Commission accusations of a “serious breach” of its fiscal pact, Finance Minister Giovanni Tria said in Brussels. Tria confirmed that the Italian government is in talks with the EU executive but warned that the government would not change its budget. The Commission will present its opinion on euro area member draft budgets on Wednesday (21 November) and is expected to issue a report that might trigger an excessive deficit procedure against Italy. “We are preparing our report for Wednesday but I am not anticipating any decisions at this stage,” Valdis Dombrovskis, Vice President of the European Commission for the Euro, said.